A brand new 'art hostel' is being developed in Leeds with artists involved in all aspects of the design and making. East Street Arts, the organisation behind the project, is asking for support to help pay artists to turn the building into a work of art. 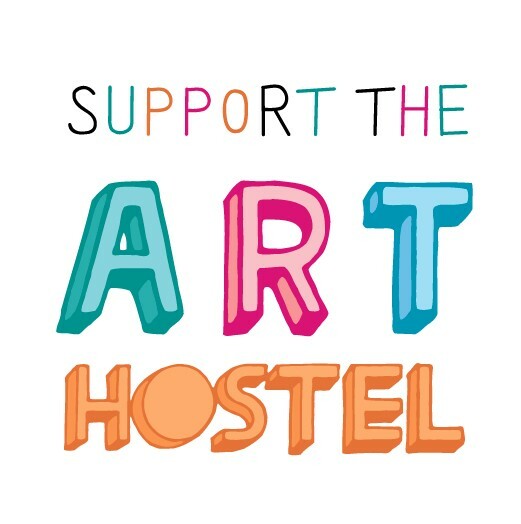 The arts organisation East Street Arts has launched a crowdfunding campaign to support the creation of an artist-designed and run ‘art hostel’ in Leeds. With 20 years experience as a social enterprise developing buildings for artists – including pop-up shops, state of the art studio complexes and artists’ houses within community settings – East Street sees the hostel as a way to support grassroots activity within the city. Once launched, it is hoped it will be self-sustaining. The hostel – for which premises have already been secured – is intended as a place for new people arriving in the city to more easily meet and become part of the creative community. The crowdfunder hopes to raise £5000 to support the commissioning of artists to design, create and decorate the space, transforming it into an art experience and living installation. As a taster of what is to come, there are number of ingeniously playful crowdfunding perks to satisfy the curiosity of project backers. These range from handmade, limited edition shower caps to the chance to work with commissioned artists on a hostel room of your own design and naming.